transport for new and used vehicles. Sprint Auto Transport has over 20 years of transportation experience. Through this experience, Sprint Auto Transport has developed a nationwide network of carriers in order to ship your vehicle. Please refer to the FAQs in order to find out about your vehicle shipment. Our clients include both new/used vehicle dealerships and individuals looking to transport their vehicle around the USA or the world. You can fill out a quote form in order to get pricing from Sprint Auto Transport to transport your vehicle. We are open 7 days a week and will respond right away to any request. How much will it cost to ship my vehicle and how long will it take? Transport is based on the weight of the vehicle and the distance to it’s destination. Please fill out our Quote Request Form (LINK) to receive an accurate estimate of price and time for delivery. When should I schedule my vehicle to be shipped? We ask that you contact us a 1-2 weeks in advance to give us enough time to get your vehicle scheduled for pickup. If it is urgent, we can also place it at top priority to get picked up and on it’s way to the destination within 48 hours. Are there price differences for cars vs. trucks? Yes, everything is based on the amount of weight a truck can legally carry and the amount of space the vehicle will take up on the trailer. Can I ship any personal items in my vehicle during transport? No, Auto Transport companies are not licensed or insured to transport personal items inside the vehicles. There are some minor allowances that can be discussed before the order is placed. How will my vehicle be shipped? Vehicles shipped to or from anywhere in the lower 48 US States will be loaded on to an Auto Transport trailer and transported by truck from pickup to delivery. Do I need to be at the pickup or delivery location? Someone will need to be available at the pickup and delivery locations to release and accept delivery of your vehicle. 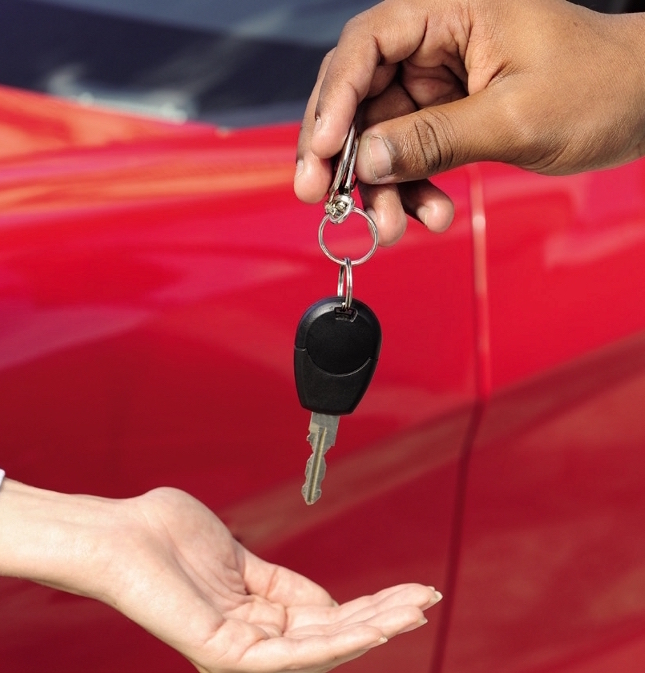 You can assign someone to release or accept your vehicle for you. We will just need their contact information when you complete your order form. Will you pick-up or deliver to my home address? We can enter your residential address for pickup and delivery. Someone will need to be available at both locations to meet the driver at or nearest the residence in an Auto Transport truck accessible area if residence delivery is not an option. How do I pay for my vehicle transport? We can accept credit cards or you can pay the driver on delivery in the form of cash, bank check or money order. Note: they do not accept personal checks. What is the difference between Open or Enclosed Transport? We can provide either Open or Enclosed Transport in most traffic lanes. Open transport trailers are exposed to the elements during transport and your vehicle may arrive a little dirty. Enclosed transport offers a trailer that is enclosed and mostly shielded from the elements during transport. We strive for Quality, Safe and Damage Free delivery service with both Open and Enclosed transport options. Yes. The carriers transporting your vehicle are insured for any transport damage caused by the driver to the exterior of the vehicle for the duration of the transport. Note: Your vehicle is not insured, during transport for damages caused by “Acts Of God”. What if my vehicle arrives at the destination with transport damage? The driver assigned to transport your vehicle will complete an Inspection Report of the vehicle before loading on to the transport trailer. This inspection report is signed by the party at pickup. Once the vehicle arrives at the destination, that same Inspection Report is signed by the party at delivery. In the unlikely event that your vehicle has any transport damage, the damage will need to be clearly noted on the inspection report before it is signed by the party at delivery. Copies of this signed Inspection Report are left with the parties at pickup and delivery. Any transport damage not noted at the time of pickup but noted at the time of delivery will be covered by the carrier after Sprint Auto Transport has been notified of the claim.